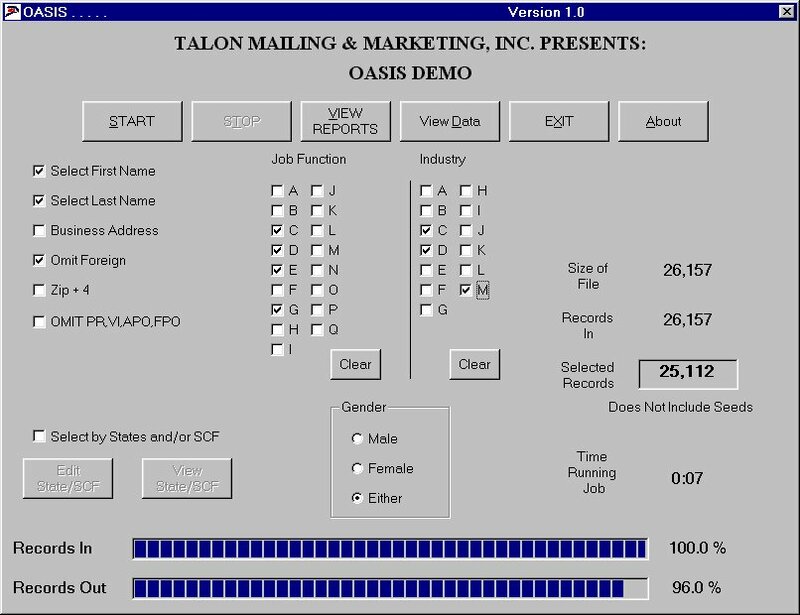 Welcome to the Talon Mailing & Marketing December 2016 Newsletter. One holiday marketing tactic that might not be on your radar could actually be highly effective: direct mail. 1. Use the right mailing list. If you have a mailing list of current customers, that’s the best place to start — you know they’re interested in what you have to offer. 2. Include an offer. Three-fourths of survey respondents say they are likely to use coupons they received in the mail — even more than those who plan to use coupons received by email or found online. 3. Create a sense of urgency. Time-sensitive offers can get customers into your store during slower times of the week. For instance, hold a pre-Black Friday sale targeting customers who want to avoid the hectic crowds, a midweek sale or special deals available only from 9 to noon. 4. Include a clear call to action. Whether it’s “Free Gift Inside” or “Bring in this postcard for 40 percent off,” make it immediately clear what you want customers about how the direct mail piece benefits them and what you want them to do next. 5. Don’t forget the basics. I once got a postcard with an offer I was eager to act on, but I couldn’t find the business’s name anywhere on the piece! Hard to believe, but true. Make sure your direct mail piece includes your name, address (maybe even a little map), phone number, website URL and business hours. 6. Track responses. Asking customers to bring in the direct mail piece for a free gift or discount is a good way to track who responds. You can then invest more in mailers to those customers going forward. A letter - Gift Card Enclosed or Gift Certificate Enclosed on the outside of an envelope will almost always get customers to open it. A gift card or certificate has a higher perceived value than a discount coupon — and customers will almost always spend more than the value of the gift card when they visit your store. A card - Consumers are primed to open cards at the holidays, so a holiday greeting card or “thank you for your business” card (with a discount, gift certificate or other offer inside, of course) is sure to get opened. A flyer - A colorful one-sheet flyer, tri-folded and addressed on the outside, can be surprisingly effective as well as inexpensive. If you use an attention-getting color, it will stand out from other mailers. A postcard - Postcards can be a colorful way to stand out from the pack too. Bonus: They’re also cheaper to mail. Invest in quality stock and four-color printing, as well as attention-getting graphics. Despite grumblings and frenzied articles to the contrary, direct mail remains a key integrated marketing tactic. In fact, its integration with digital marketing has nearly guaranteed that direct mail will continue to hold its own in the multi-channel marketing landscape. A recent article from Target Marketing Magazine looks at the harmonious relationship between direct mail and the digital marketing that many predicted would spell its doom. Despite such concerns, it’s clear that the two have developed a symbiotic relationship that benefits consumers and the businesses trying to reach them. You Got Digital in my Direct Mail! Direct mail and digital represent a happy marriage of old and new tactics. Today’s direct mail is more personalized, more customer focused than ever before with the enhancements that digital provides. These are no simple print-and-mail postcards; you can now augment your carefully crafted, strategic direct mail solutions with data-driven targeted messaging, QR codes, personalized URLs, audio and video. Direct mail also offers the benefit of being a physical piece with staying power; an interesting piece may stick around long after an email would have been deleted. This post further explores the magnetism of direct mail, including that it is personal, perceived as trustworthy, feels special, and doesn’t clutter up the inbox. Target Marketing gives a Top Four list of the most beloved features of direct mail among digital marketers. Direct mail is not subject to those challenges faced by email marketing each day: customer retention, unsubscribes, spam, bounces, email filters, etc. Direct mail provides another channel for connecting with online subscribers and prospects. Direct mail offers an additional way to measure success and meet performance goals. More measurement means more insight into customer behaviors and preferences. Don’t let fear of being thought of as old-fashioned cause you to miss this useful opportunity to reach your audience in what continues to be an appealing and effective medium. The low-cost/low-return efforts of some digital outreach may be tempered by the higher response rates and novelty of a personalized, compelling piece of mail in your customers’ hands. Now’s the time to embrace the possibilities of a digital/direct mail marriage. It's a fiercely competitive time in the business community. The economy's overall shakiness, combined with an array of political, social and global conditions has created an even fiercer business environment than the one marketers have always faced. That's why now is the time crank up your marketing game, to stay ahead in a huge field of options all vying for the same finite number of paying customers. But listen to most of the buzz these days and you'd think the only thing that matters in customer communication and promotion is electronic forms of marketing. In that respect, that aforementioned "buzz" lies. The truth is that direct mail marketing is still ad extremely effective and important component in your overall promotional plan. 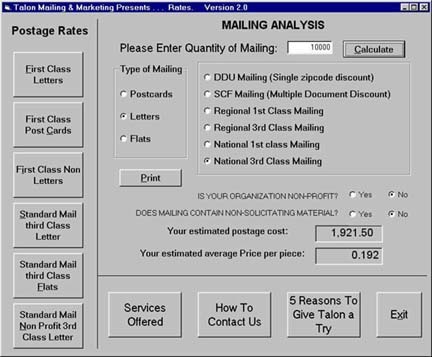 When combined with digital and mobile components, in fact, direct mail can drive business your way as well or better than other electronic forms of media. This is particularly true if you take the time and thought to ensure your campaign is high on the following three qualities shown to boost the return on your direct mail investment and reach your objectives. 1. Design quality matters … a lot. Consumers buy with their eyes. In fact, studies indicate that buying decisions are typically made within the first three seconds of an ad's view, making the images, colors and language you choose critical to success. Take the plunge and pay for the best photography and design possible to give customers an irresistible visual "taste" of your best-selling menu items, instead of things like LTOs with limited potential for driving long-term sales. To create visual appeal and magnetize potential customers' eyes, use the so-called "hierarchy of colors" to create synergy between your ad's background, base and accent hues. To get to understand the whole idea of the hierarchy of colors, go online to someplace like this color wheel website to familiarize yourself with the color wheel that artists and designers rely on to capture attention. It may sound crazy, but the fact is that our brains respond differently to different color combinations, so things like a call to action should be created from colors that are complimentary, but still contrast with base and background ad colors. For instance, a combination like red and yellow act like a vacuum for the eyes, pulling the viewer in to focus on the message. 2. Know and define your promotional strategy. The simplest way to entice new customers and retain those who've been around for a while is to know and follow a clear promotional strategy. This not only keeps your brand top of mind, but gives you an edge over direct competitors. So, designate monthly or quarterly specials corresponding to major holidays, sporting and political events, but continue to push classic menu items, too. Promotional coupons, for instance, should offer broad-based menu choices with wide appeal. So, consider a BOGO for pizza or wings with a purchase to entice new customers while still appealing to those good ol' reliable patrons you've always depended on. 3. Print is not dead, but it sure loves to have a digital partner. A recent Mandlik & Rhodes study found that 70 percent of consumers still actively seek out print coupons, so these items are still a key component of your marketing strategy. But, if you incorporate digital elements for consumers who prefer this form of promotion, the study showed it increases consumers' desire to buy the product. So, don't forget to augment your paper-based direct mail campaign with electronic forms of promotion, like digital coupons and QR codes that give these consumers a way to engage with your brand. Typically, print coupons provide higher return on your investment, but digital coupons are easier to distribute. That reflects why a healthy balance of both forms of promotion is crucial. In fact, direct mail itself should be supplemented and incorporated into your overall marketing strategy, along with online, mobile and other forms of promotion. This may all seem a little bit like overkill, but communication today is an approach of many choices. Your best bet of attracting a broad sweep of customers of all walks and generations is to incorporate everything from the old and well-known forms of communication, to the newest and trendiest. That way you attract those types of users, as well, and variation is not only the spice of life, but the driver of higher sales. Monday December 26, 2016. Nets vs. Charlotte 7:30 PM. Graphiq.com - Access more than 10 billion authoritative, live-updating, and embeddable Graphiq Visualizations. Bear-writer.com - Bear is a beautiful, flexible writing app for crafting notes and prose. Bear works on iPhone, iPad, and Mac, so you can write wherever inspiration strikes. Use to-dos to stay on task across every device. Tailorbrands.com - Instant Custom-Made Logos. Try it for Free. Geekwire.com - Tech news, commentary and other nerdiness from Seattle, covering Microsoft, Amazon, Google, Internet, startups, mobile, PCs, geek culture, more. Bitmoji.com - Wherever you go, your avatar is now just a click away! Easily insert bitmojis into Phone texts, Gmail, Messenger, Slack, virtually anywhere you communicate.